Date: Tuesday, 25th August 1992. Score: Leeds United 5 Tottenham Hotspur 0. 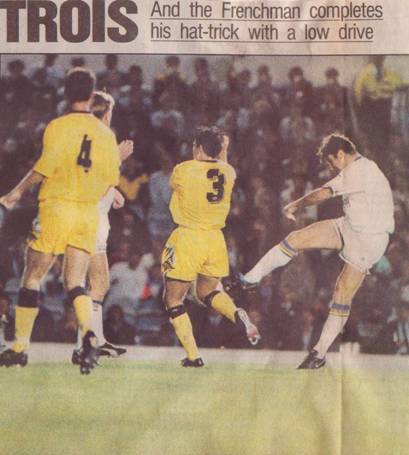 Scorers: Leeds United: Wallace, Cantona (3), Chapman. Tottenham Hotspur: Nil. 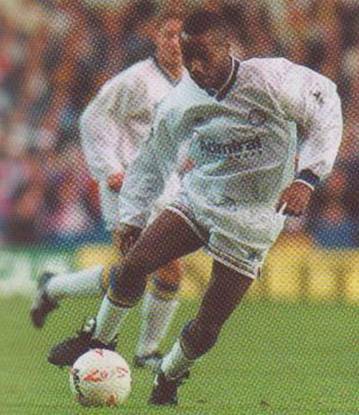 Leeds United: Lukic; Newsome (Strachan), Dorigo; Batty, Fairclough, Whyte; Cantona, Rod Wallace, Chapman (Hodge), McAllister, Speed. 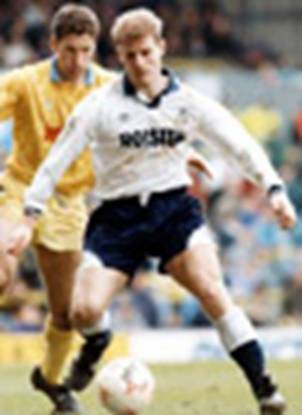 Tottenham Hotspur: Thorsvedt; Austin, Edinburgh; Howells, Cundy, Ruddock; Sedgley, Durie, Samways, Anderton, Allen. 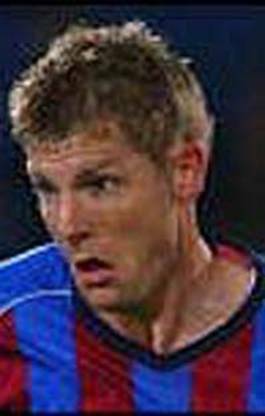 Referee: Mr M. Reed (Birmingham). 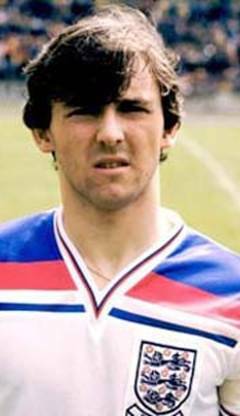 After scoring a hat-trick at Wembley in the Charity Shield game, Eric Cantona had to be satisfied with just one goal in the three games United had played in defence of their League Champion’s crown. 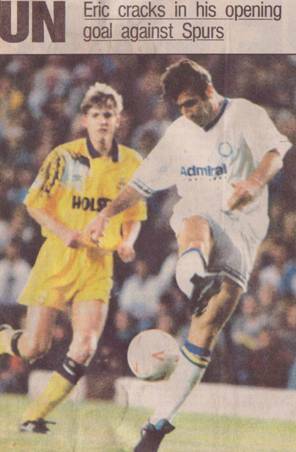 After a win over Wimbledon in the opening fixture at Elland Road and a 1-1 draw at Villa Park United came a cropper against newly-promoted Middlesbrough at Ayresome Park by 4-1 and Cantona had got the consolation goal. 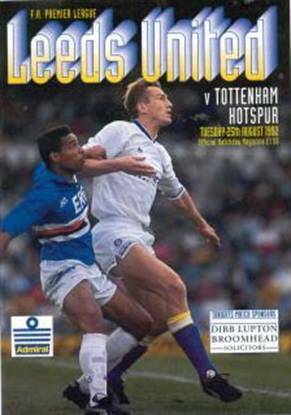 It looked like the gloss was fast disappearing from the mercurial Frenchman and the entertaining and winning Leeds United, but only three days after the drubbing by Boro United and Cantona put on a performance that their fans would long remember as they totally outplayed and outclassed the not so hot Spurs. 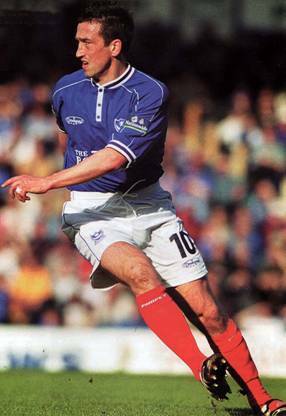 Rod Wallace opened the scoring after nineteen minutes and was joined on the scoresheet nine minutes later by Cantona. 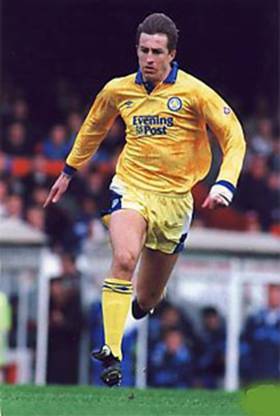 The Frenchman headed his second and Leeds’ third just five minutes later and the fans sensed blood as United totally dominated the game to go in 3-0 in front at half-time. They were not disappointed as the big French International completed his hat-trick and Leeds fourth just two minutes into the second half. 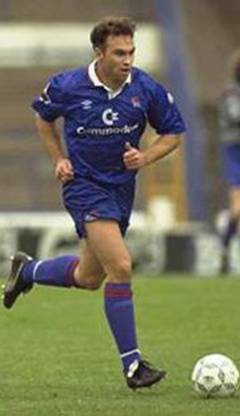 Lee Chapman got a fifth after sixty-six minutes to complete the rout and give the adoring home fans thoughts of retaining their crown. It was not to be as they failed to win a single away game and picked up just seven points on their travels that season and finished a disappointing seventeenth with fifty-one points. Fortunately United were still able to boast a whopping twelve wins and eight draws and just one loss, incredibly 1-4 against rank bottom club Nottingham Forest, but otherwise their form at fortress Elland Road was championship class. 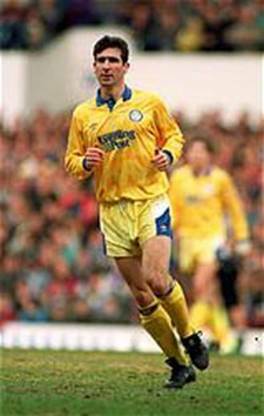 Cantona moved on to Manchester United in November and Leeds were left to dream of what might have been as he steered the Reds to many trophies and personal medals and ‘Player of the year’ Trophies and accolades.